This spring, join us in Dodd Auditorium for an evening (or two!) of dance. Performed, choreographed, and run by students, the Performing Arts Club (PAC) produces two dance concerts per semester: one in the middle and one at the end. Each performance sometimes incorporates alumni and UMW dance professors, both of which are included this spring. 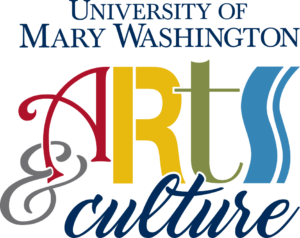 Dance at UMW extends beyond the campus and into the Fredericksburg community with it's rich history of professors and alumni. Hosted by Avery Ballet, Ballet and Beyond III is in support of the brand new scholarship in honor of Vicky Wilder and Florance Ridderhof. Avery Ballet is a ballet school in downtown Fredericksburg, founded and directed by Lisa Avery, a longtime friend and colleague of Sonja D. Haydar (another influential woman in the history of dance at UMW). All performances are held in Dodd Auditorium, in George Washington Hall, at the University of Mary Washington in Fredericksburg, Virginia.